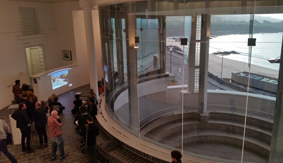 Задача: Tate St Ives in Cornwall needed two high resolution short throw projectors with crystal clear picture quality for video performances in its famous gallery. 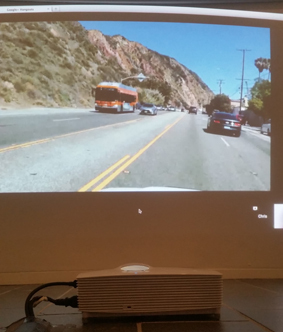 Решение: Visual production company, AV3, installed two Optoma GT1080 projectors to project the straight onto the gallery walls including a live-streamed performance from the Californian coast. Результаты: Being small, white and quiet, the GT1080s were a perfect fit for the gallery. 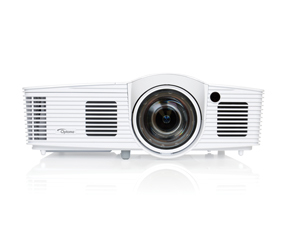 The short throw lens allowed the projectors to be sited close to the gallery wall yet still produced a huge high resolution image.